G rundy Electric provides a safe and dependable supply of electricity and related services to our member-owners. We understand the responsibility we have as an electric distribution cooperative and recognize safety as one of our core values. Education, Training and Information - is just one of the cooperative principles Grundy Electric abides by to educate our members, directors and employees so they can contribute effectively to the development of our cooperative. 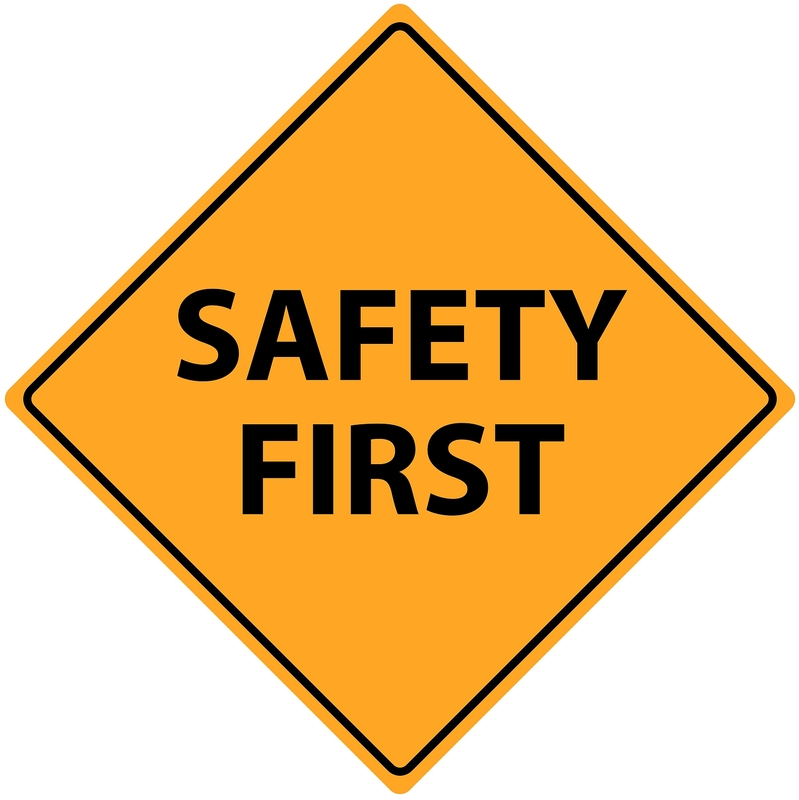 We believe safety is a culture that starts with our employees. As one of our core values, we are committed to developing this culture within our organization, thus encouraging our employees to be leaders in electrical safety. Take steps to help prevent electrical fires in your home by identifying possible safety problems before they occur. Safe Electricity offers the following checklist to help find possible issues with your electrical system or appliances before they become a fire hazard in your home. 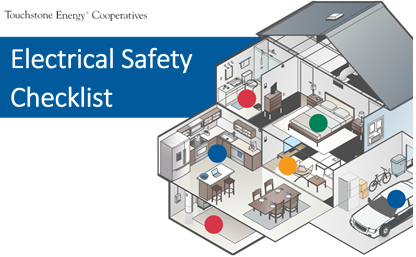 Review the Electrical Safety Checklist to ensure a safe home. Grundy Electric Cooperative knows how important education is, and we have developed several safety programs to help civic organizations and schools become more knowledgeable about electricity. Trained GEC representatives bring electrical safety to life with classroom demonstrations, hands-on projects and visual materials. All program materials are provided by the Cooperative. These programs help make learning about electricity a fun and educational experience. For additional information regarding this great co-op member benefit, please contact Peggy Boulware at pboulware@grundyec.com or extension 23, or Karen Glenn at kglenn@grundyec.com or extension 33. Maintaining the right-of-way (ROW) is very important to provide safe and reliable electricity to our member-owners. Grundy Electric Cooperative's brush crew works throughout the year clearing vegetation, brush and foliage by maintaining an aggressive right-of-way program. The ROW clearing program is designed to reduce contact between vegetation and power lines as much as possible. The most important reason to keep our power lines clear is to maintain safety. When vegetation comes in contact with a power line, it is very possible for a child or an adult touching limbs to receive a fatal shock or injury. Vegetation touching power lines can also cause blinks affecting sensitive electronic devices such as clocks or personal computers. Trimming, tree removal and spraying is necessary to keep these annoyances to a minimum. In addition, vegetation and brush cause outages, which is a major inconvenience to members and expensive for your cooperative. With over 2,100 miles of line, Grundy Electric's Right-Of-Way Crew works year-round trimming and removing trees. In addition to the Right-Of-Way Program, Grundy Electric has implemented the Hazardous Tree Program. This program was put into action to eliminate trees that have grown up into and around power lines. 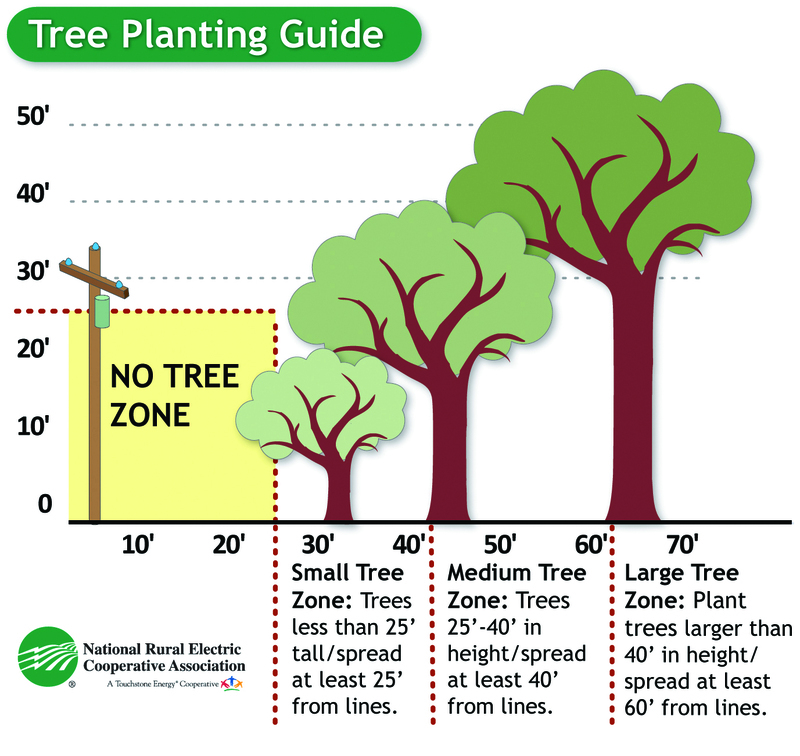 If a tree is deemed hazardous and located in a member's yard, the ROW Crew will contact the member regarding specific options, which includes severe trimming or tree removal. If the member would like the tree replaced at a different location away from power lines the coop will provide a replacement. During the summer months, ROW crews begin applying high volume foliage spray, trimming and clearing vegetation within Grundy Electric's 40-foot easement around power lines. Only primary lines which supply power to the transformer will be cleared. 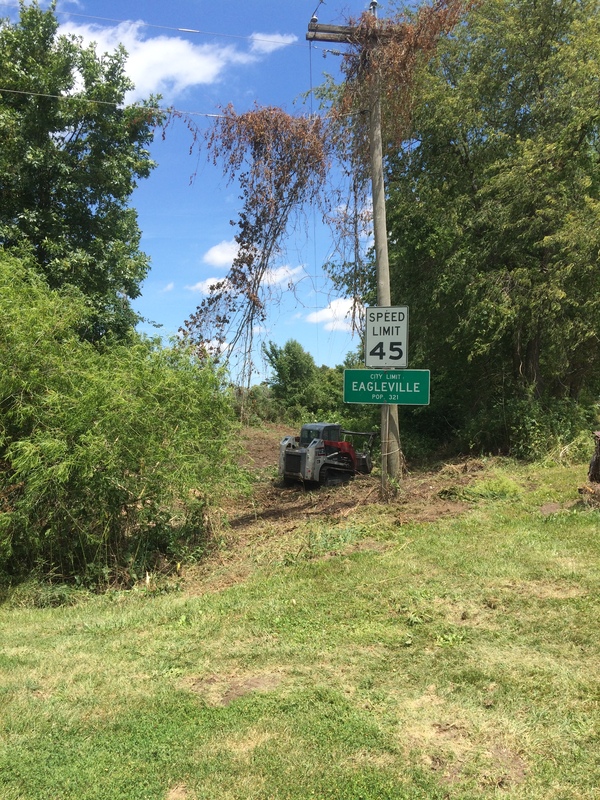 "Clearing brush and vegetation removal is necessary to improve our quality of service and to ensure safety for our member-owners," stated operations manager, J.D. Pash. Pl ease read our "Safe Tree Planting" guidelines. 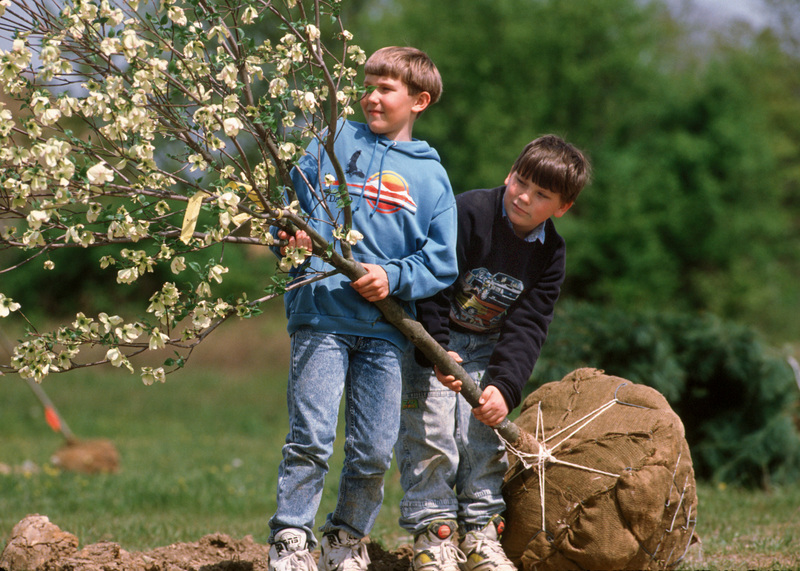 Members should not plant trees under or near the cooperative's power lines. If you see a tree touching or in danger of falling into an electric line please contact Grundy Electric Cooperative at 1-800-279-2249. By working together, we can greatly improve our chances of weathering future storms. Our homes are filled with electrical appliances and tools that enhance our lives with convenience, comfort, and entertainment. The guidelines below from the Home Safety Council will help you spot potential problems which may be present in your home and take appropriate action to correct or remove dangers. 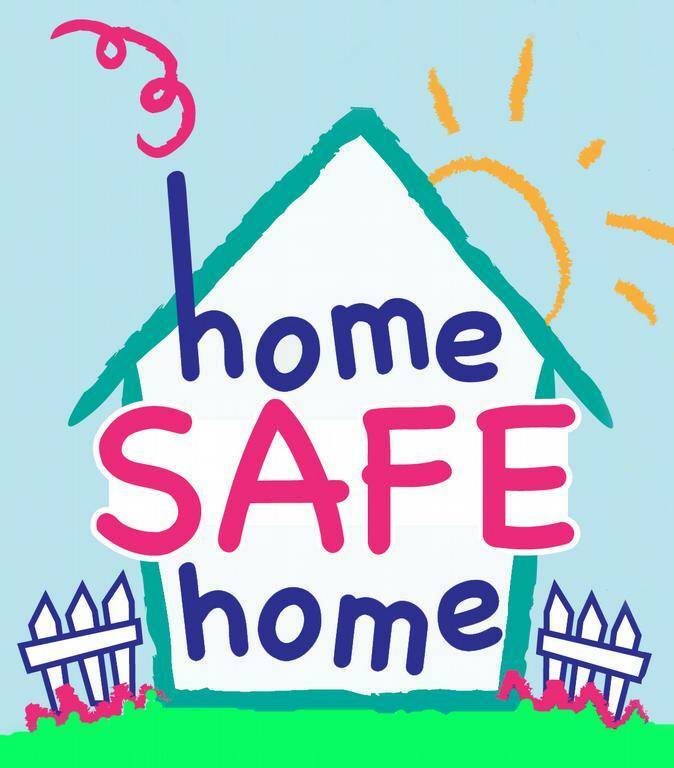 For continuous safety, give your home periodic checkups to be sure that no new hazards develop. Every home should have the protection of ground fault circuit interrupters (GFCI) in bathrooms and kitchens and arc fault circuit interrupters (AFCI) in bedrooms. Contact a professional electrician to ensure your home is adequately protected. Check your GFCI monthly to determine that it is operating properly. Units can be checked by pressing the "TEST" button; the GFCI should disconnect the power to that outlet. Pressing the "RESET" button reconnects the power. If the GFCI does not disconnect the power, get assistance from a professional electrician. If young children are in your home, use child-safety caps on wall outlets. All electrical appliances, cords and fixtures in your home should be listed by an independent testing laboratory such as Underwriters Laboratories (UL). Never use worn, frayed or otherwise damaged cords or appliances. Follow the appliance manufacturer’s recommendation for plugging into electrical power. Extension cords should only be used temporarily. Always use the appropriate light bulb wattage for the size of the fixture. The safe maximum wattage is posted in or on the fixture. Keep all electrically-powered appliances and equipment dry and away from places where water is used. Unplug all small kitchen appliances, hair dryers, curling irons, electric blankets and other small household appliances when not in use. Keep electrical cords out of traffic areas and away from furniture that may cause pressure. Do not place cords under rugs or carpets, which can cause overheating. Check that cords are in good condition and not knotted or coiled. Do not attach extension cords to baseboards or walls with nails or staples. Check the electrical rating on appliance cords and extension cords and make sure they are carrying no more than their proper loads. If you need to use extension cords outside, only use those specifically marked for outdoor use. Outdoor outlets should have waterproof covers. While owning an emergency generator comes in handy during an extended power outage, recent events have exposed the need for better safety awareness. Carbon monoxide (CO) deaths associated with the misuse of generators have risen sharply in the past decade, according to the National Fire Protection Association, which recorded an increase of non-fire CO-related deaths of 18 percent between 2003 and 2005. To safely use generators, camp stoves, and barbecue grills, operate them only in well-ventilated areas outdoors so emissions can't enter your home. Also, install a CO alarm that detects the presence of the odorless and colorless gas. In addition, always turn off a generator when refueling it, and store gasoline, diesel fuel, or propane outside of living areas. Plug appliances directly into a generator or use an extension cord. Do not try to power a home's wiring by plugging the generator into a wall outlet. All-important transfer switch: A permanently installed standby generator for a home or business requires a transfer switch to isolate it from the power grid. The main breaker on an electric panel does not qualify as a transfer switch under the National Electrical Code. They prevent the backflow of current across distribution lines that could electrocute line workers trying to restore power during an outage. They protect the generator from damage when electric service has been restored. An automatic transfer switch senses a power interruption. The switch delays activation for 10 to 20 seconds to determine whether power will resume. This prevents the generator from cycling on and off every time a power "blip" occurs. After power is restored, the transfer switch waits for sustained current flow before shutting off the generator. Permanent installation of a standby generator should be done by a licensed electrician and must comply with the National Electrical Code as well as state and local codes. 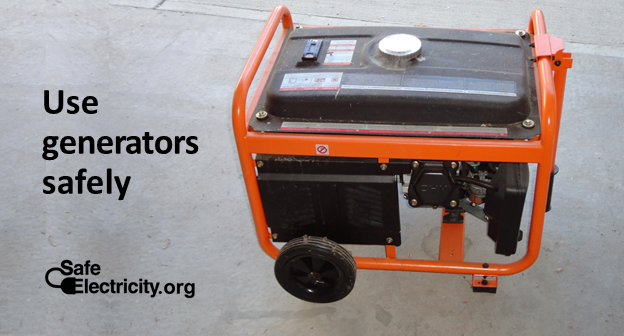 Notify your local electric co-op if you are using a generator. During an outage, if a line crew sees your lights are on, they might assume you have power and proceed to work elsewhere. Power requirements: Before buying a generator, check the power requirements of each device you want to run. Wattages are marked on the back or bottom of appliances, or on nameplates. Note that some larger appliances, such as refrigerators, require three to four times more power to start than they use during normal operation. Use common sense and these safety guidelines for construction or reconstruction. During late summer, we begin to complete those projects around our homes and farms before fall arrives. This is also a time when the construction of grain bins may be scheduled. Grundy Electric Cooperative wants to remind you to use safety precautions before you dig and remind you about special grain bin clearance rules. The National Electric Safety Code requirements regarding the placement of grain bins affect new construction as well as reconstruction. We want to keep you alert to these requirements. Specifically, the rules apply to the placement of grain bins in relation to overhead power lines, regardless of whether the bins are located along roadsides, cross-country or elsewhere. The clearance requirements are at least 15 feet on the non-loading side if it is so designated, or if it is so closely abutting another structure, or so close to a public road or other right-of-way that a portable auger, conveyor or elevator is not reasonably anticipated to be used over that side or portion to fill the grain bin. Vertical clearance over bins is the height of the highest point on the bin plus 18 feet. This height must be maintained away from the bin for the full horizontal clearance, as defined later, and then maintained outward at a slope of one foot down for every additional 1.5 feet further out. Horizontal clearance on the loading side of the bin is a total of the vertical height to the highest point plus 18 feet, as measured from the sidewall of the bin. There shouldn't be any problem for the Cooperative when constructing a new line in the area of an existing bin, but there could be a problem when a bin is constructed near one of our existing lines. In that situation, to get adequate clearance, the utility lines may need to be moved, raised or changed in some other way. Such measures are costly procedures for which the owner may be billed. Let us reemphasize that the Safety Code requires an extreme amount of clearance between distribution electric lines and grain bins for any new construction or reconstruction of grain bins. This clearance will help protect the safety of all concerned. Be Safe. Remember to call before you dig. Missouri law requires that any person making or beginning any excavation notify Missouri One Call System (MOCS) at least 3 working days before you plan to dig. Weekends, State and Federal Holidays do not count toward the 3 working days. Placing a locate request is FREE and easy! 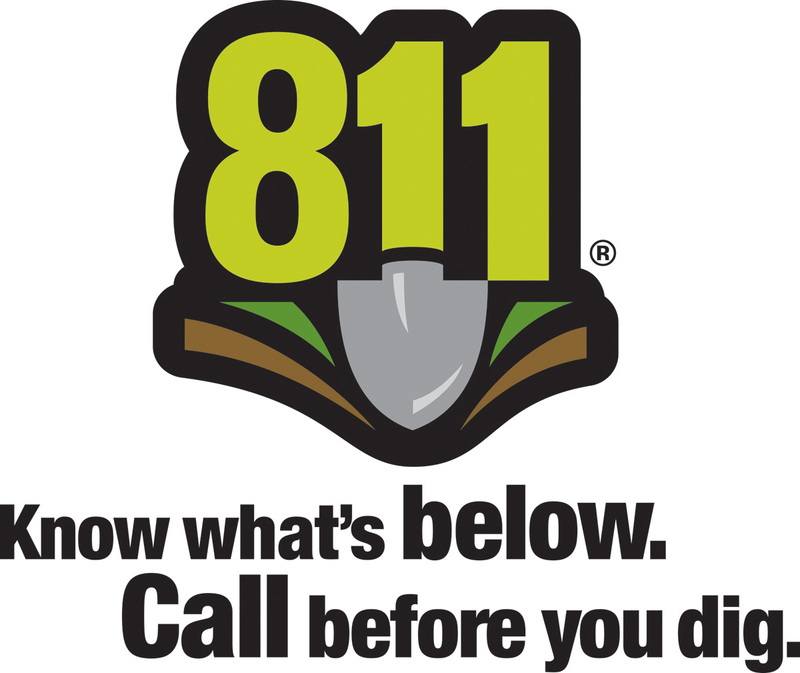 Call 1-800-DIG-RITE (1-800-344-7483) or 811. Click on this link to access the Missouri One Call website. The Iowa One Call notification system is a FREE CALL and a FREE SERVICE to all persons planning an excavation within the state of Iowa. The required 48 hours advance notice does not include Saturdays and Sundays or legal holidays. The law specifies that all excavators must call the Iowa One call notification center prior to ANY excavation. Placing a locate request is free and easy! Call 811 or 1-800-292-8989. You can also access the Iowa One Call website.